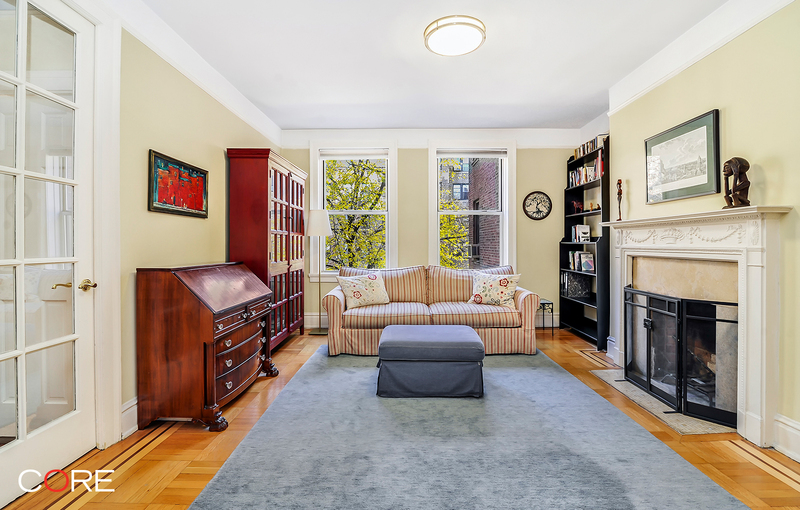 Welcome home to this gorgeous two-bedroom, one-bath co-op with a formal dining room and sun room in one of Jackson Heights' premier historically landmarked buildings, Laburnum Court. Built in the early 1920s by architect George H. Wells, this beautiful red brick and stone trim, neo-Georgian elevator cooperative features a lovely central landscaped garden and wood-burning fireplaces in every unit. As you enter the apartment you are greeted with a bright eastern-facing living room with a wood-burning fireplace and to the west, a windowed formal dining room with French doors and sunroom/office with southern, western, and northern exposures. Both the dining and sun rooms overlook the garden. Pre-war details include high ceilings and oak floors with mahogany and maple inlays. The windowed kitchen features granite counters and stainless steel appliances. 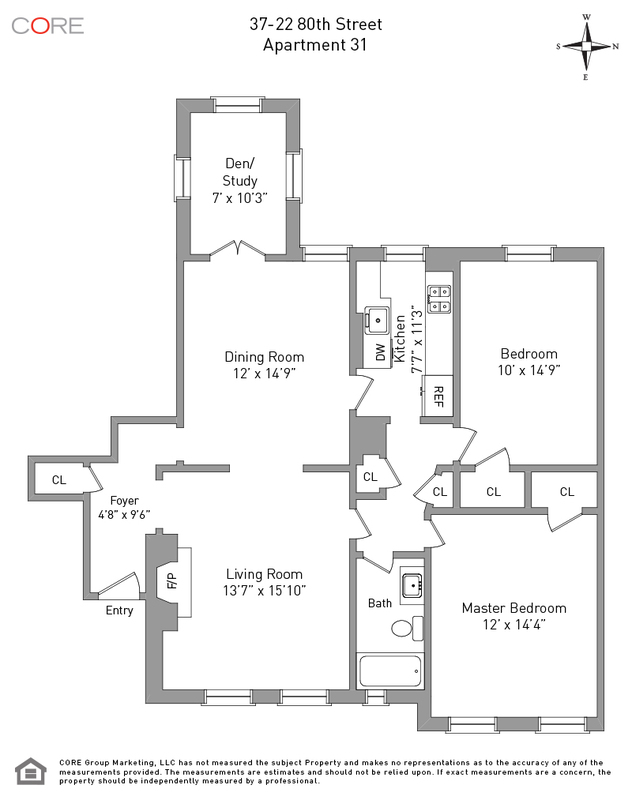 Two large bedrooms, one updated bath and five large closets complete the apartment.